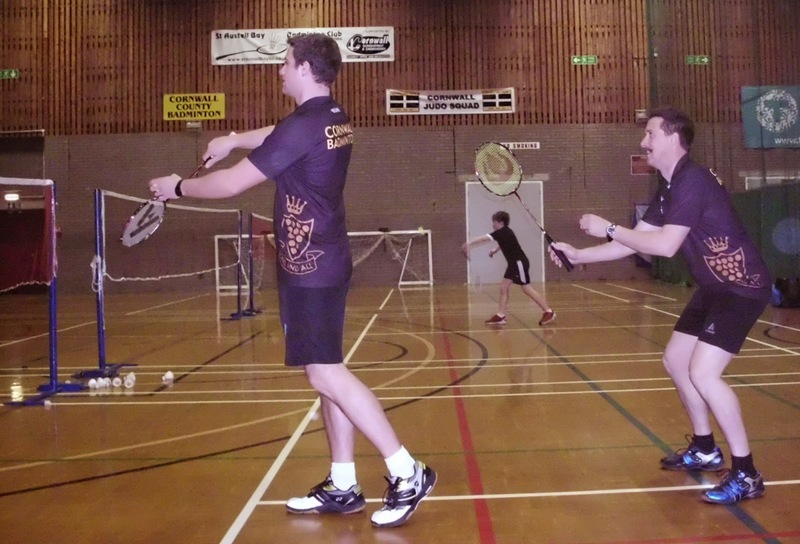 The Cornwall County U13 Badminton Squad began their 2015/16 season with a flourish convincingly defeating Avon in a South West County match 22 points to 14 and 12 to 8 in the concurrent Shires League. On a murky wet afternoon the Cornish team were given a warm welcome at Gordano school in Portishead by Stuart McCrimmond, the Avon team manager. Games started with six mixed doubles and the Cornish team got off to a flyer with a 5:1 lead. 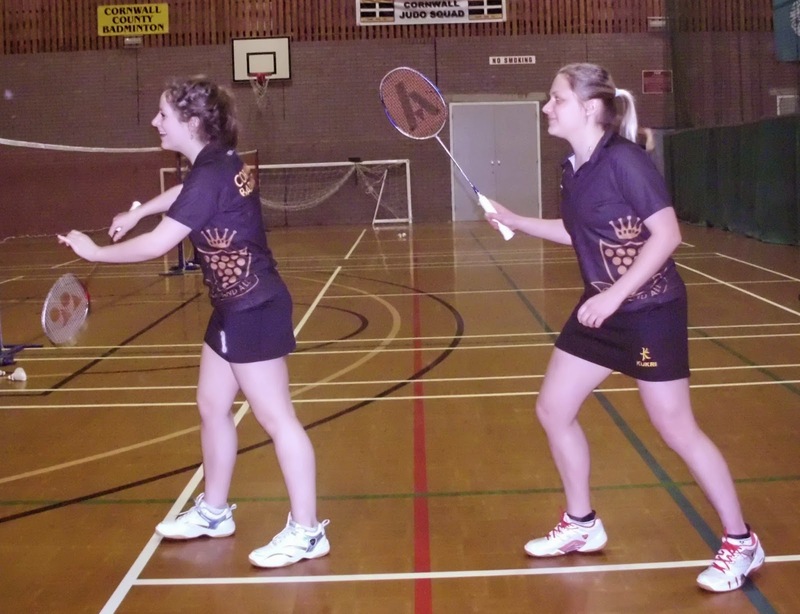 Ashay and Beckie had stiff opposition from Om Reddy and Skye McCrimmond and despite losing fought hard to the end. This was followed by some tough opposition for our boys with the standard of play from their number one and two exceptional. Despite such stiff opposition from experienced tournament players, Sam Phelps, Josh Cox and Regan Hull (playing in his County debut) took their defeats with dignity and calm and were a credit to the conduct of the team . Ashay Divekar was beaten narrowly against their number three and it was left to Jason Ayliffe to play a blinder securing a three end victory, 21/17, 16/21 and 21/14 at number four. This was followed by victory for Sam Perkins playing number six 21/14 and 21/18. The three debutants (Regan, Jason and Sam) thus served the County well. At this point we were narrowly ahead 7:5 when the girls stepped up to the plate. They comprehensively trounced their counterparts and although our number six and new debutant Poppy Brunsden lost it was by a narrow margin 21:18 and 21:13 giving her valuable tournament experience. We were 12: 6 up at this stage and their strong boy’s team sought to exact revenge. They were victorious in most of the games but Sam Phelps partnering Josh Cox and Jason Ayliffe with Ashay Divekar won one rubber each to maintain our narrow lead 14:13. It was up to the girls to secure victory. The nerves subsided and the match was never in doubt! Our tournament hardened number one pair (Cara Collins and Charlotte Freer) and number two (Beckie Bailey and Nila Kandasamy) tore into their opposition alongside the new partnership of Gemma Stevens and Poppy Brunsden. They won 9 of their 10 matches. The final tally of 22:14 was a true team effort and a reflection of the excellent coaching and support from Nigel Collins and Rob Freer. The result was also a reflection of the tremendous support from all the parents that travelled the distance and the help of Paul Stevens who officiated with style. The matches also counted towards the Shires tournament with a 12:8 victory. All in all an excellent day. 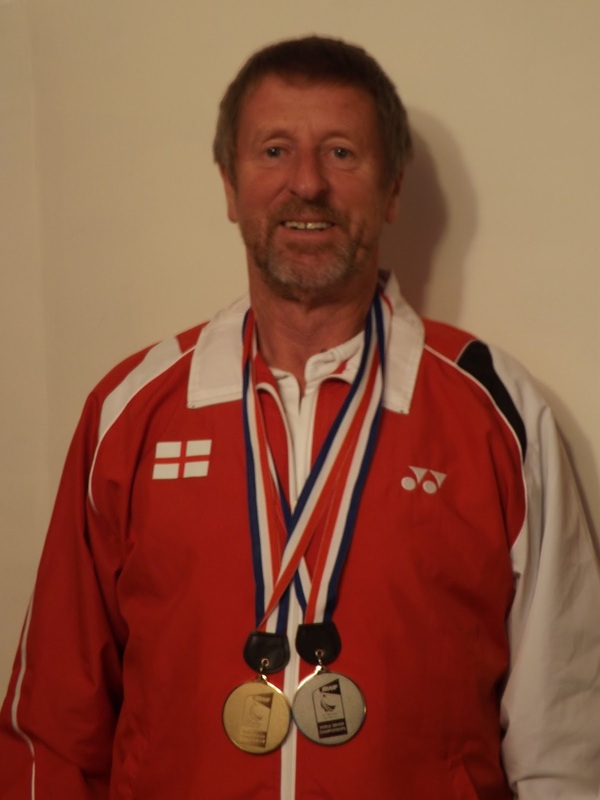 Team manager Nigel Bailey was delighted and said ‘The team clearly deserved their victory and demonstrate how, despite our geography, we can compete on a level playing field with national opposition’. Stuart McCrimmond commented ‘ We are a competitive group but were outplayed by a strong committed Cornish team – we enjoy playing Cornwall but hope the result is different in the return match’. It was great to see the players revelling in their success at the McDonalds restaurant at the Taunton Deane Service Station on the way home where the Team Managers player of the day went to Gemma Stevens and the Players award shared between Cara Collins and Poppy Brunsden. Well done all. 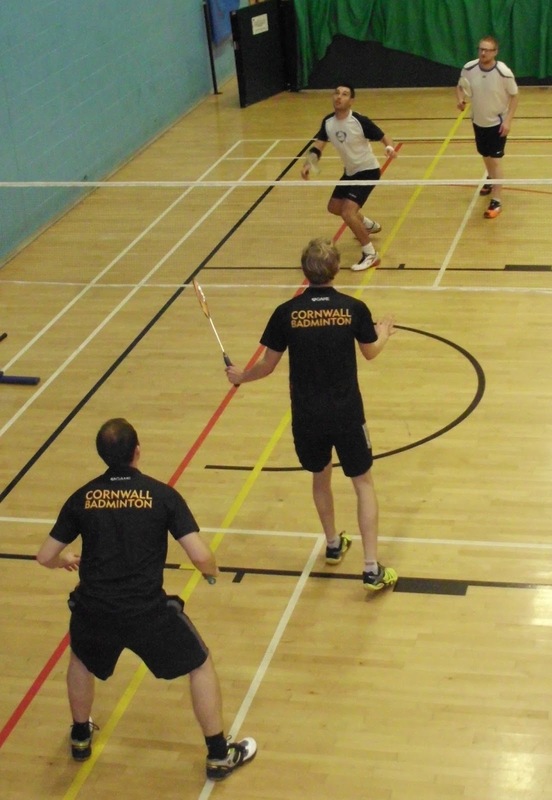 Cornwall’s top badminton players began the new season by taking the long trip to Cheltenham, where the first set of centralised matches in Badminton England’s new format were held at the weekend. Each county team plays their regional counterparts once over 3 weekends, with matches being the best of 11 games. This time, Cornwall 1sts took on Wiltshire and Dorset in the new Division 3. 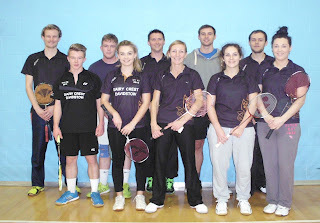 The match versus Wiltshire began with the 5 singles games, which featured 3 of Cornwall’s best young men and 2 girls. 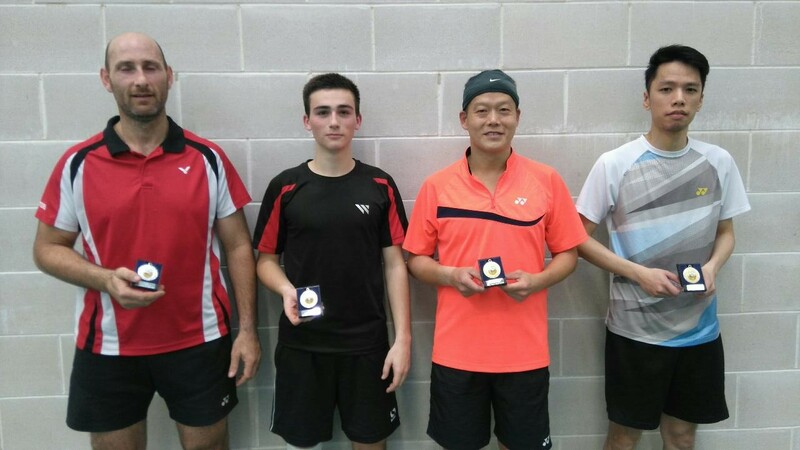 Making their debuts were the new county champion, 15-year-old Tyler Sillifant, and Milo Semonin, alongside the more established and older brother Liam Sillifant. The boys got Cornwall off to a storming start, with excellent straight set victories in each of their games, and this was followed by a comfortable win for Vicki Thomas, and a narrow loss for Hester Luke after 3 ends of hard battle in the women’s singles. 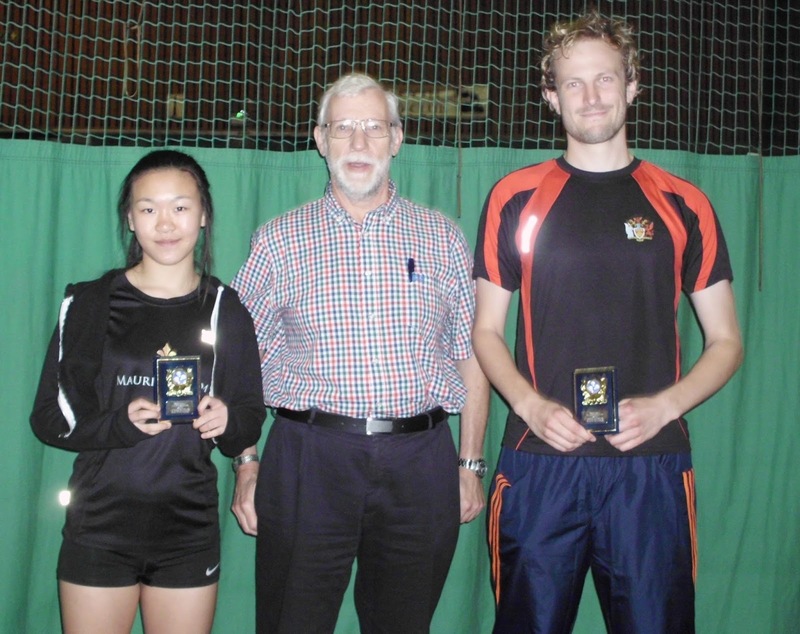 Two games of men’s and two games of women’s doubles followed, and the honours were split with Wiltshire taking both women’s and Cornwall the men’s. The new pairing of Ross Lashbrook and Richard Townsend eventually triumphed after 3 close ends of attacking badminton and close defence, while the experience of James Whetter and Guy Michell saw off their opponents in fine style. 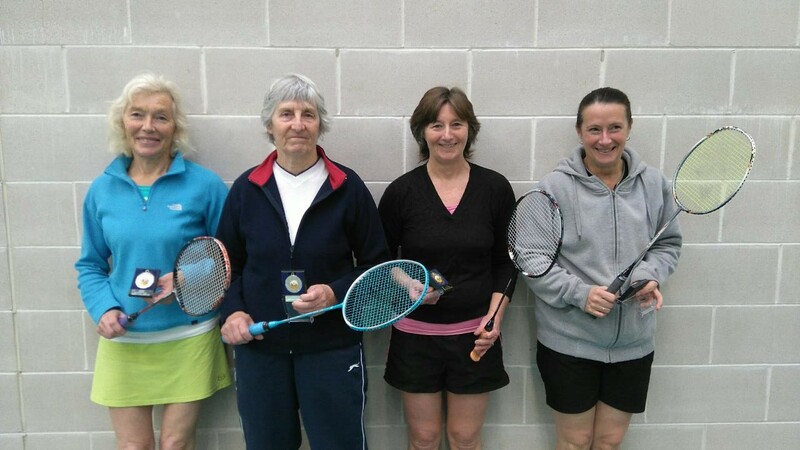 In the women’s doubles, both Cornish pairs, of Bronwen Wotton and Amy Polglase, and Hester Luke and Vicki Thomas fought hard but were beaten by the Wiltshire girls. 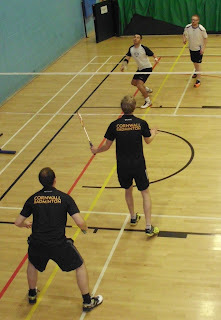 The match finished with 2 games of mixed, with Cornwall having already secured victory. 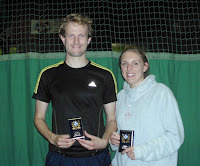 The Wiltshire pair were no match for number one pair and county champions Ross Lashbrook and Bronwen Wotton were no match for the Wiltshire pair, who they swept away in two easy ends, but the new pairing of James Whetter and young Amy Polglase found life more difficult in their game which they were unlucky to lose in 3 very tight ends. So the match finished with a great start and an encouraging victory 7-4 to the young Cornish team, and they prepared for the next match versus Dorset. This turned out to be much the harder match against more experienced opponents, and Cornwall’s young singles players struggled from the off, each of the boys losing in 2 ends despite some hard fought retrieving and good movement. Amy also lost in two, and although Hester won one end, fatigue set in and the Dorset girl triumphed. 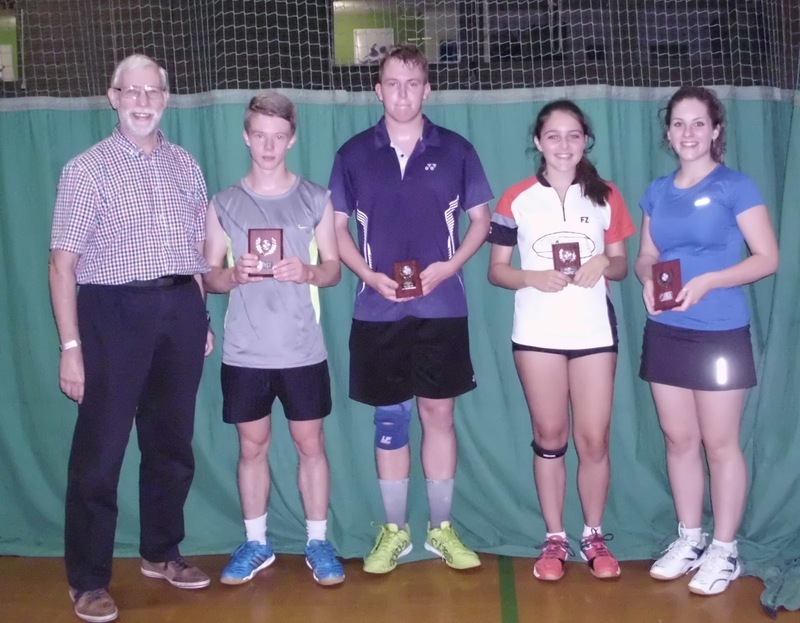 Cornwall’s two men’s doubles pairs set about reversing the trend, and both won in three ends, and although the women’s pairs did well to push Dorset to three ends, they both just lost out unluckily. 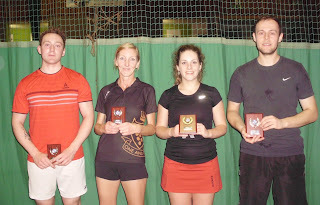 Honour was again salvaged in the mixed, with Ross and Guy completing their 100% win records by pairing up with Bronwen and Vicki to comfortably win, and give a final match score of 7-4 to Dorset. The next set of matches again takes place in Cheltenham, on December 12th, when Cornwall 1sts take on Jersey and Oxfordshire. 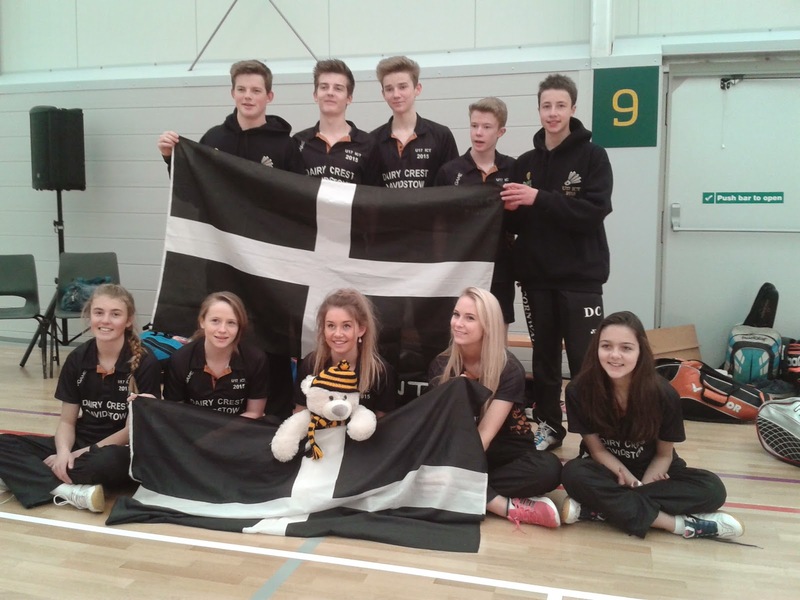 Cornwall team – Tyler Sillifant, Liam Sillifant, Milo Semonin, Ross Lashbrook, Richard Townsend, James Whetter, Guy Michell, Hester Luke, Amy Polglase, Bronwen Wotton, Vicki Thomas. 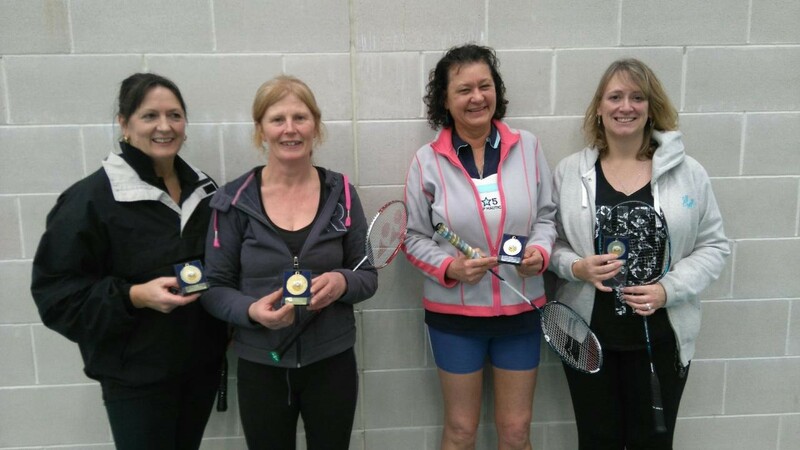 Cornwall’s badminton players converged on Polkyth Leisure Centre at the weekend to take part in the annual County Championships to find out the best players this year. The first day of the competition saw the men and ladies battle for the two singles crowns, as well as the ladies doubles event. 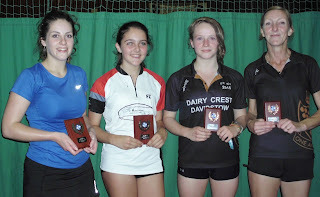 The ladies singles final came down to the top two seeds, Bronwen Wotton, and young Amelia Burrell who had just beaten the experienced Vicki Thomas in the semi-final. A closely fought final, with some lung bursting rallies, went to the wire with both girls winning an end each, before Bronwen’s finesse and all court game finally triumphed and she became ladies champion. 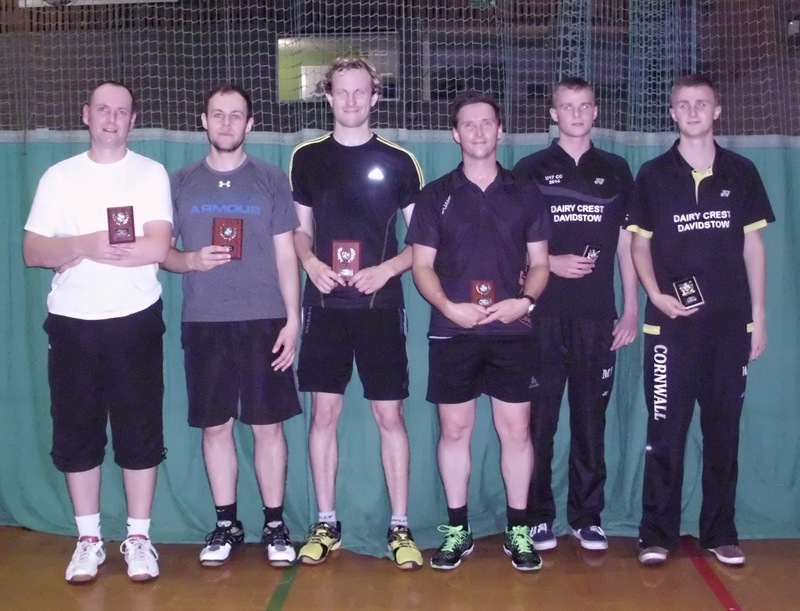 Twenty one men contested the singles event, once again with an excellent turn out of young players from Cornwall Youth Badminton. The top 4 seeds duly made it through to the semi-finals, although James Whetter had had to use all his experience to beat Ross Lashbrook in one amazing end which finished 30-28. Both semis were tightly fought affairs, with top seed Liam Sillifant narrowly edging out James in a pulsating, see-saw match. In the other half of the draw the semi-final was between two regular young combatants, Tyler Sillifant and Milo Semonin, and this again went all the way to three ends of stunning defence and footwork, which Tyler won fairly comfortably in the end. So the final was between the top seeds and the two brothers, Liam and Tyler. Younger brother Tyler repeated his excellent form from the previous weekend in the Duchy Senior Silver tournament, and finally beat Liam in two incredibly close ends, to become county champion for the first time. The ladies doubles event gave all 5 pairs the opportunity to play each other, with some promising young players gaining valuable experience. In the end, the clear winners were Bronwen and Amelia, who had paired up following their singles contest. Runners up were a new pairing of Vicki and Laura Galley, who had battled hard and only dropped two ends all afternoon. 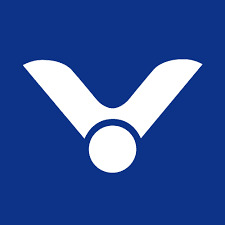 The players returned the next day for the mixed and men’s doubles, and the large crowd were treated to more thrilling badminton to a high standard. 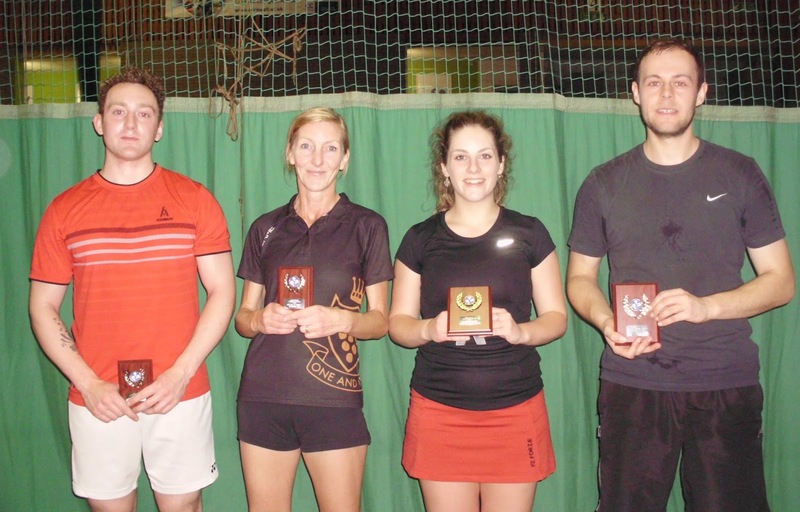 In the mixed doubles, the top two seeds made their way comfortably through the draw to the final which was an intriguing matchup of two established pairs, Ross and Bronwen against Lee Chapple and Vicki. Despite a never say die effort from the Penzance pair Lee and Vicki, they were no match for the power and precision of Ross and Bronwen in the end. This event completed Bronwen’s hat trick of titles and capped a fine weekend for her. 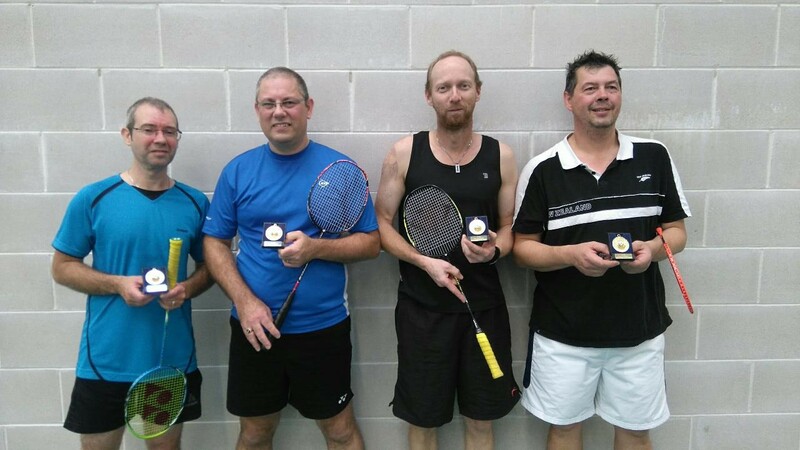 Sixteen pairs made up the men’s doubles, with some great skill and power play on demonstration from the players of wide ranging ages and experience. 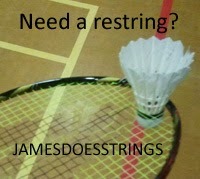 Once again, the 4 men’s seeds made it through to the semis, with Dave Harrington and Liam pushed hard by Steve Ellis and Chris Glasson in the quarters, and they were then beaten in two ends by top seeds Ross and Richard Townsend. 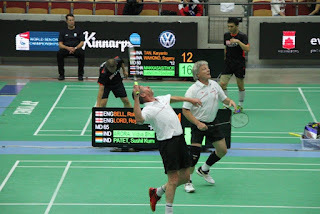 Competing against them in the final were the experienced pair of James and Nick Phelps who had seen off Sam Spencer and Tony Clarke in the semis. The final had some fantastic retrieving and speedy net play but in the end Ross and Richard’s power took them through to become county champions, and round off a great weekend of badminton. Fixtures for Seniors/Veterans and CYB are all online now, available through the fixtures link if you wish to print. All dates have been added to the Google calendars in the panel to the right, click on the link at the bottom of each box to add to your own calendar if required. 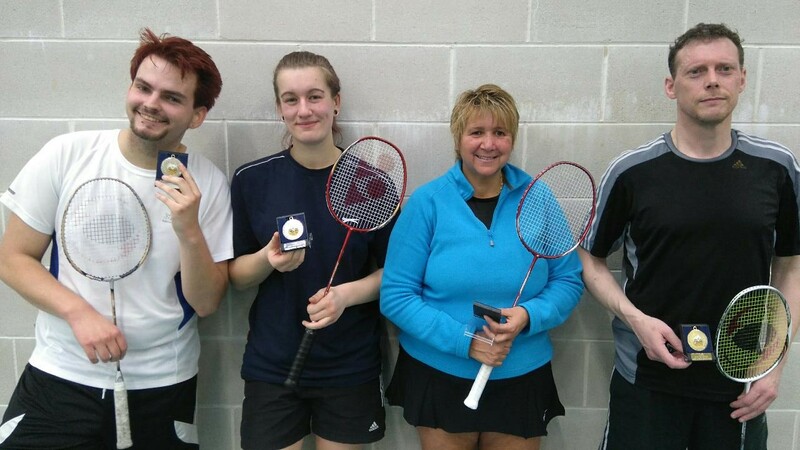 The entry form for The 33rd Duchy of Cornwall Badminton Championships has been released, and can be downloaded here or in the download panel to the right. 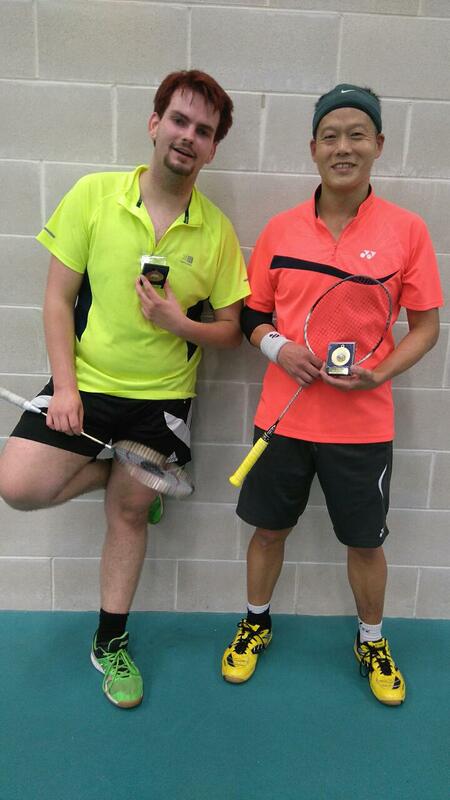 The tournament is on the Senior Silver Circuit, and will take place on Saturday 19th & Sunday 20th September 2015 at Carn Brea Leisure Centre. The closing date for entries is Tuesday 1st September 2015. 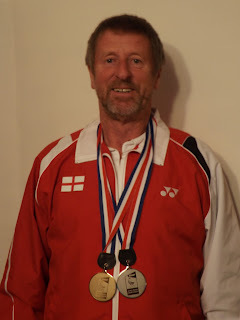 Cornwall’s veteran badminton players have recently finished a very successful season, and will be off to Loughborough to play against the top national teams next month, on April 25th and 26th, having won the South West league. 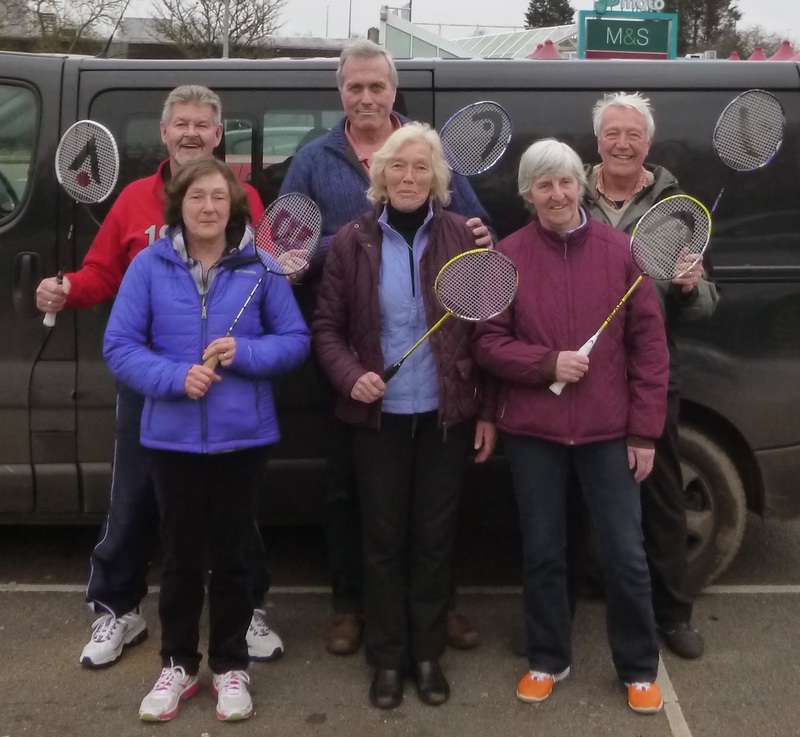 The team of over 65 year olds swept away two Avon and Gloucestershire teams, Devon, Wiltshire, Dorset and the Isle of Wight to win their division in style. 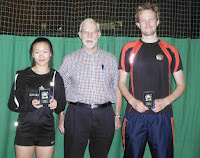 The mixed doubles pairs of Captain Brian Hannibal and Celia Hillman, and Bill Edgar and Pat Edwards remained unbeaten all season, and overall this was a great team effort and a notable achievement for Cornwall badminton. 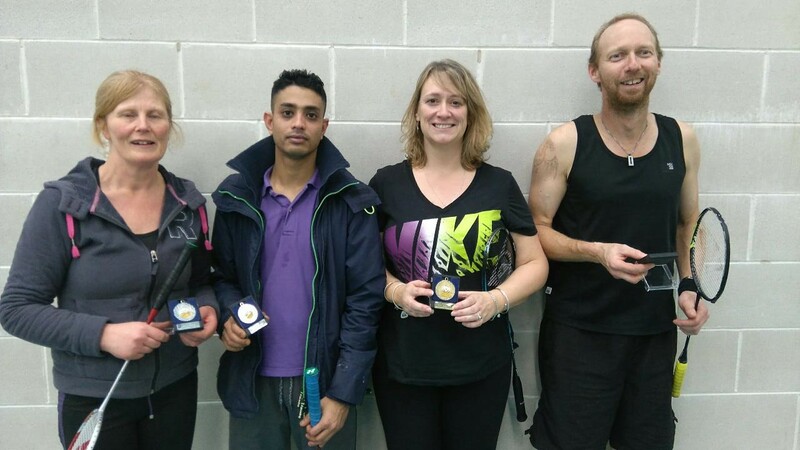 The vets team were already riding high by winning the annual Masters Challenge competition, held in January in Bournemouth, where all the south west counties get together for a weekend of keenly fought badminton, not to mention dinner and dancing. Not only are the vets best at the badminton, their moves conquered the dance floor too. This time, the over 65s beat the rival counties of Dorset, the Isle of Wight and Buckinghamshire. The over 65 team is – Brian Hannibal, Phil Oland, Bill Edgar, Celia Hillman, Pat Edwards, Christine Smith.